Go to our Quick Quote Form to obtain an instant and guaranteed quote for your document. You can submit your document 24 hours a day, 7 days a week. If you wish to submit your document by another method, then please contact us. You need to upload your document to our server and select the wordcount, turnaround and title for your order. This will allow you to process your order. You also have to enter a few details on the next page. However, if you think you may use Supaproofread again or want to hear about future discounts and offers, then you must register before submitting your document to us. This creates your own 'online area' that provides you with increased access, and will supply you with special offers tailored to your particular needs. 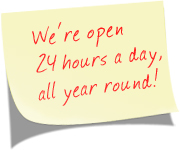 Once you're happy with a turnaround time and service for your document, you will be taken to our online shopping area. Here, you will need to select which payment method you prefer. You will be directed to PayPal by our secure server. After payment, you will then be re-directed to our server to complete your order. Proofreading & editing begins immediately. You will receive an email from our server indicating that your order has been "confirmed". This means an editor has started working on your document. For large manuscripts, theses and projects, the editor may contact you directly and will be available to answer any questions and/or queries. Your document will be returned to your online area and you will be sent an email advising you of "completion". Once logged in, you will be able to collect your completed document. The document will utilise the "track changes" function of Microsoft Word, highlighting any changes made. This includes word insertions, modifications, deletions and comments on content, so that you can view the exact process. Please click here if you are unsure about track changes.